University of Ottawa law professor, Michael Geist, has shed some insight on the recent CRTC 2017 Communications Monitoring Report, which detailed the state of communications services in Canada. 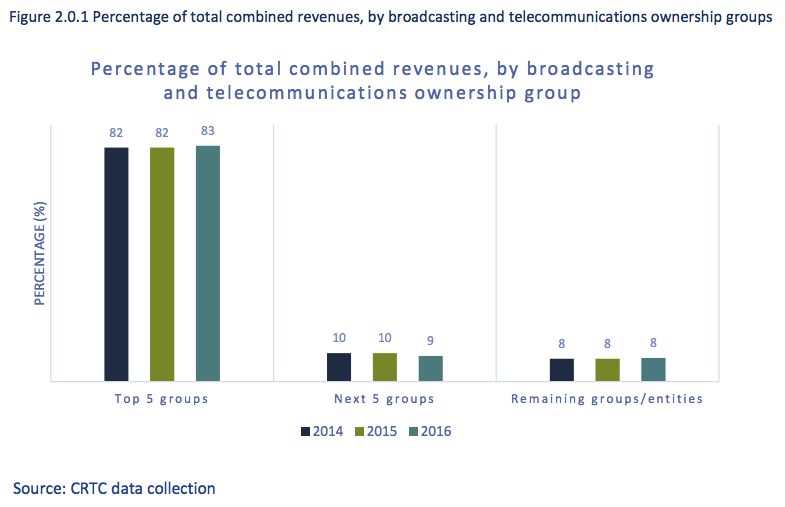 The top five broadcasting and telecommunications groups/entities, which consist of Bell Canada, Quebecor, Rogers, Telus and Shaw/Corus, together combined to account for 83% of total industry revenues in 2016, a “slight increase” compared to 2015 and 2014 data. Digging further into the data, the CRTC provides insight into an oft-overlooked source of revenue for the carriers: overage charges, which represent an ongoing source of frustration for many consumers. While many carriers have unlimited broadband plans, unlimited wireless plans are rare, leaving subscribers to carefully monitor their data usage. 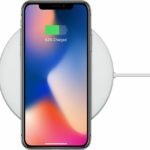 Based on the CRTC data, however, many find themselves exceeding their monthly cap fairly regularly as data overage charges constitute 6 per cent of total retail wireless revenues. In 2016, of companies that reported data overage charges, approximately 6.0% of their total retail mobile revenues were reported to be directly from revenues collected from subscribers who exceeded allowable monthly data limits; the revenues excluded charges for flex-type plans, domestic and international roaming, and text messaging services. Canadian wireless carriers make more money from overage charges than from either long distance fees or roaming costs. In fact, with total data revenues at $11.9 billion, about 1 of every 10 dollars earned from data stems from overage charges. The CRTC report also notes Canadians paid $100 million in broadband Internet overages, or about 1 per cent of residential Internet service revenues. This summer, Rogers and Bell increased data overage prices for new customers by 40 per cent, now charged at $7 per 100MB, or $70 per 1GB. Canada’s wireless carriers do not favour unlimited data plans like their counterparts in the United States. Rogers previously said “it just isn’t feasible to offer unlimited plans,” while Bell stated there are “tremendous costs” associated with maintaining high speed networks. The bottom line is unlimited plans will most likely never come to Canada and users will continue to use data sparingly, to avoid costly overages. How often do you go over your wireless data and home Internet data limits?